Proof of the inaccuracy of test audience screenings, director Wes Anderson’s first film Bottle Rocket, co-written and starring his college classmate (a then unknown) Owen Wilson, received the worst test screenings point scores of any film in the history of Columbia Pictures at the time of its release, according to IMDb. 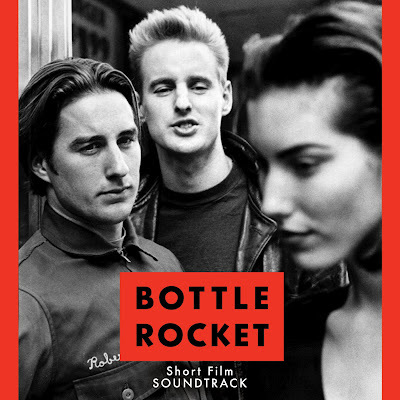 Now a cult favorite, Bottle Rocket-- a remake of Anderson’s short film of the same name-- developed a small loyal following that grew successively with the release of Anderson’s follow-up films Rushmore and The Royal Tenenbaums. Winner of the MTV Movie Award for Best New Filmmaker and numerous accolades for the debuts of Wes, Owen and co-star Luke Wilson, Anderson also received a double honor for both Rocket and his next film Rushmore from the LA Film Critics Association. Rocket, which benefits from a highly intelligent, offbeat and genuinely funny screenplay—complete with unexpected warmth and heart (that would become their trademark as evidenced in Tenenbaums) was produced by director James L. Brooks (Broadcast News and As Good As It Gets) and Polly Platt (producer of The Last Picture Show). Owen is terrific as aimless slacker Dignan, who, at the start of the film helps plan the “escape” for his friend Anthony’s release from a voluntary mental hospital in Arizona where Anthony had checked himself in for exhaustion, despite-- as his kid sister points out-- the fact that he’s never actually worked a day in his life. Once back in Texas, Dignan, Anthony and their wealthy friend Bob (who joins the gang simply because he has a license and access to a car) concoct a plot to rob a local bookstore for no apparent reason other than boredom, although in the mind of Dignan, the robbery is the start of a grand plan to live a lucrative life of crime, working for his former landscaping company boss Mr. Henry (James Caan). Once on the lam, the three have differences in priority as Anthony finds love with a beautiful maid, Bob feels a sense of familial obligation when his brother Future Man (another Wilson brother) is apprehended, and Dignan tries to get everyone else interested in hiding their identities and moving on to an even bigger score. Innovative, hip and delightfully nerdy—one critic called Bottle Rocket “Reservoir Geeks,” which, while an admitted understatement, does make sense as the film relishes in its laid-back approach to crime, with characters who are earnest and naïve as opposed to Elmore Leonard rip-off cardboard cut-outs spouting pop culture, anger and exposition. Simply put they are three basic twenty-somethings trying to get on with their lives and it’s a delightful treat to watch. While Tenenbaums is their undisputed masterpiece, Bottle Rocket is still my favorite Anderson film for frequent viewings and helps set up the cinematic promise and mastery produced in the others. Side Note: The film also gained a fan in director Martin Scorsese who, when a guest critic on Ebert’s TV show selected the film as one of his personal favorites from the 1990’s. Now in 2008, with the release of Rocket from those technological wizards at the Criterion Collection who'd also released Anderson's other masterpieces including Tenenbaums and Rushmore as part of their impressive library-- they're finally giving the original opus the Criterion treatment to Rocket in both DVD and Blu-ray form. While I have yet to experience the product, I was especially intrigued upon learning that the original short film that Anderson crafted which inspired his cult hit would also be included in the Criterion set. As music has always played a tremendously vital role in the work of the filmmaker as some of his most cinematic moments have been strengthened by the usage of some truly amazing music (such as the Bill Murray and Jason Schwartzbaum rivalry set to The Who in Rushmore and the bird flying high up into the sky to The Beatles at the start of Tenenbaums), it's only fitting that finally the music from the Bottle Rocket short film has been issued as well. As his longtime musical supervisor Randall Poster astutely observed, Anderson has "managed to turn people on to music that was undervalued and overlooked," with not only his "wonderful taste" but also his "great instincts for using music and choreographing it with stunning imagery and great emotion." Finally delivered in a digital only release via Amazon and iTunes-- it's an eclectic mixture of jazz that would show up later in his films and a far cry from the predominantly pop heavy tracks (by The Proclaimers and Rolling Stones, etc.) in the feature-film which was scored by former Devo performer Mark Mothersbaugh. Since "the studio didn't want us to use jazz in the feature version," as Anderson recalled, the release of this album finally allows the filmmaker who didn't have the money to pay for the song rights when he was starting out the opportunity to finally "put out this [particular] soundtrack... and present the music properly." Serving up eight tracks which equal more than thirty minutes of listening time-- more than double the length of the thirteen minute short-- as soon as the soundtrack begins, we feel as though we've wandered into a late '50s and early '60s Greenwich Village jazz club. "Inspired by the use of American jazz in French new wave movies like Breathless," as Anderson notes in the press release, the director and Randall Poster weave a wonderfully diverse and eclectic rhythmic tapestry "of some of my favorite jazz music" as Anderson notes. Beginning with Artie Shaw's "The Chant," which offered a terrific showcase for the dubbed "King of the Clarinet" who was known for using "stringed instruments to fuse classical and jazz music, [which] delved into hard driving bebop" in his formation of "'chamber jazz,'" the opening track makes one long to each reach for a hula-hoop or snap your fingers like you're an extra in West Side Story. Visually the peppy tune seems to recall the work of director Woody Allen and makes a wonderful choice to choreograph action to before the soundtrack moves into tenor saxophonist Sonny Rollins' experimental "Old Devil Moon." Clocking in at a little over eight minutes and introducing listeners to Rollins the improvisational virtuoso whose "trademarks became a caustic, often humorous style of melodic invention," the song has an interesting personality that seems like it's especially in tune with the scheming characters of Rocket. Venturing down "The Route" with Chet Baker and Art Pepper which takes the piano keys and moves it into a boogie until it adds in horn and percussion almost ninety seconds in, the real piano standout hits us in the fourth track. An Anderson favorite whose music has shown up throughout the director's work in tribute to the man "best known for composing music for animated adaptations of the Peanuts Comic Strip," Vince Guaraldi''s insanely beautiful musical contradiction of power and delicacy-- "Skating" floats into the mix as the first of two inclusions by the composer. While he'd return with the sophisticated romantic track "Happiness Is," which recalls "It's Almost Like Being in Love," a few tracks later, it's "Skating" that marks the album's standout and you can stream it here (in either .qtl or .asx). A song where the pretty sounding key impressions seem to evoke thoughts of piano based raindrops strengthened with a wispy percussion-- Vince Guaraldi skates up and down the keyboard as a mixture of the rebellion and innocence of the characters who personify the Anderson universe. Additionally, the album from Fantasy Records also offers choice cuts from Duke Ellington and John Coltrane ("Stevie") and the Zoot Sims Quartet, who end the soundtrack with the deep and fast "Jane-O" (which can also be streamed .qtl or .asx). Yet, another highlight comes in the form of Horace Silver Trio's "Nothing But the Soul," which boasts an incredibly wild yet instantly addictive drum performance by the legendary Art Blakey. An irresistible chance "to hear the seeds of" the filmmaker's musical passion and creativity as Poster explains, it's especially impressive to hear these compositions on any soundtrack, let alone one that would mark a directorial debut and ultimately the man's "starting point." And this is all the more paramount as over a decade later we still find him returning to intriguing musical exploration throughout his career, with the most recent embrace of classic Indian scores for The Darjeeling Limited. While the ultimate gift to Anderson fans would be the Criterion Collection which showcases both versions of his groundbreaking smash which launched not just his own career but introduced the world to the Wilson Brothers as well-- be sure to give your CD storage cabinet a much needed rest by looking for this exclusive digital release which flies like a Rocket crashing right back into the heart of American jazz of yesteryear. 6) "Nothing But the Soul"